Christmas is a holiday for gift giving, so why not offer some branded promo Christmas baubles this winter. There are a range of unique and creative designs to choose from that will turn heads, and attract more customers during this busy shopping season. One of the traditions during the holidays is the decorating of the Christmas tree, in front of which any family gather, eat and celebrate. It’s also true that is the peak season for every seller. And we believe that your customer would love to receive a little thought from you, something that would help their celebration to be better. They may look a bit sad and out of place, but no worries they hide something really interesting. They are chalkboard baubles. They are offered in a box of two baubles with chalk included and appear like normal baubles, with classic ball and a hook. The difference lies on the surface which is made by some black layers that work as blackboard. 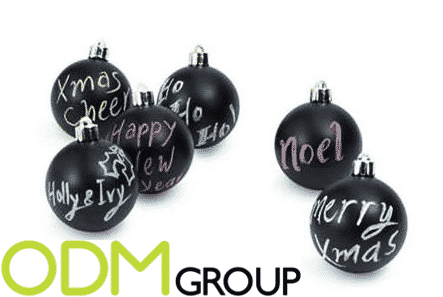 This promotional item allows the customer to decorate the baubles with whatever design or sentiment they would like, using chalk. This permits for a fun and creative activity which the whole family can do together. 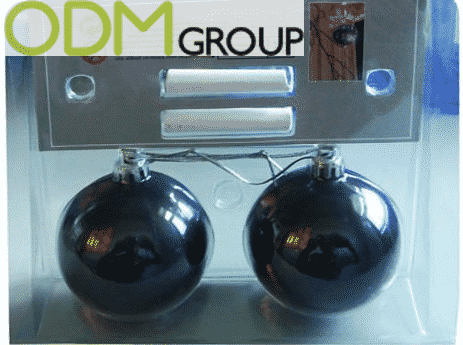 These promo Christmas baubles would be a great as a promotional product for any brand this Christmas. 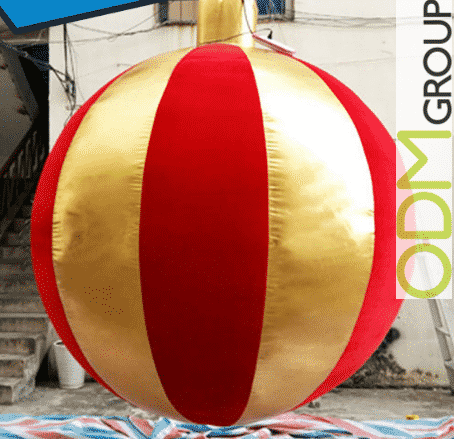 Inflatable baubles are a great way to advertise and customize. The advantadge of this baubles is that they can be personalized in any shape and size and also design. You may want to opt for a classic shape and look, with a branded wish for your clients. It is an alternative idea that could turn out to be pretty convenient. In fact, inflatable baubles means that they can be deflated, folded and put somewhere whitout occupying too much space. This aspect should not be underrated. From a corporate point of view, company like to exploit this Christmas baubles as marketing agents. They like them huge and showy with a branded logo accompanying their wishes to passer-bys. They are good to be hanged somewhere in crowded places to raise your brand awareness and perceived value. Perfect outdoor advertising! What’s better idea than making your baubles visible even during night? 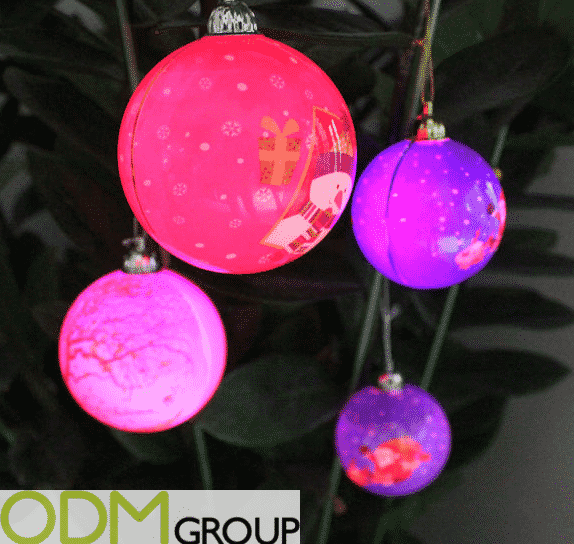 These LED promo Christmas baubles would light up your customer’s tree and mood. LED products have a very large range of possibilities and variances, that is they can be applied and utilised in many ways. They could be normal lighted baubles, they can be combined with inflatable techniques, be outdoor wired baubles or made waterproof floating on the water surface. 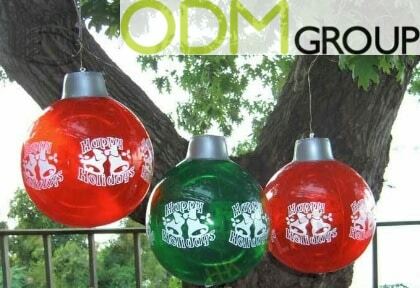 The main feature of these promo Christmas baubles is that they are visible also during the night. The images on the spheres here are well evident. During the day your customer will have a traditional Christmas tree, while in the dark hours your logo will be in contrast with the light and therefore higlighted and standing out from the others. 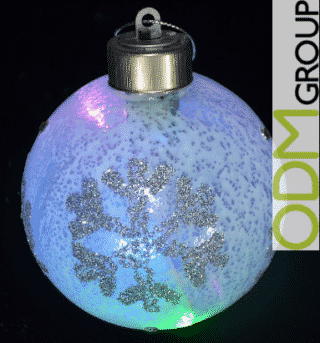 We believe that transparent promo Christmas baubles are the most suitable Christmas idea for any kind of company and product. The materials used can vary from plastic to glass. Regarding shapes, we would recommend a sphere shape as it is more capacious, but it can obviously be custom. Different sizes, colours or shapes, that is not a problem. Personalized design matching your brand or festivity themed logo, as well, they are normally possible. And, also note that these promo Christmas baubles are openable from the middle, the top or be completely clamped. 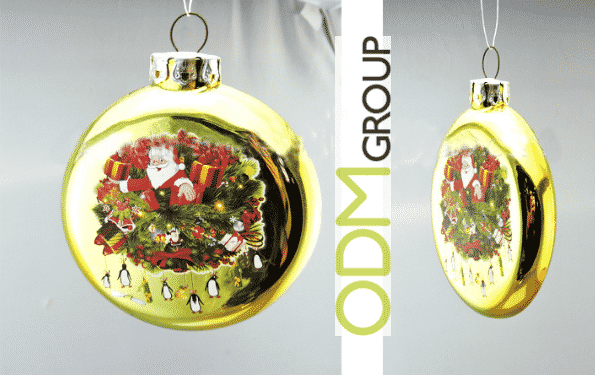 These types of promo Christmas baubles are ideal to market you products or small objects linked to your brand as they are literally mini displays. For example, imagine locating a POS display in the shape of a Xmas tree, all decorated with your products held in cristal clear baubles or hang them from the ceiling of shopping malls. To us it means extremely high brand exposure. This gift with purchase and marketing strategy are just two ideas, but there are many others. The last but not the least, flat baubles. Why should it be interesting? Two main reasons, ideal flat printing area and practicality. It is pretty difficult to brand curved areas, that is why sometimes prices may be higher or the dimensions of the logos result a bit wrong. With a flat surface, these problems are solved and you can just gain from such a promo item. What the client gains, is instead more practical but still cool baubles. The volume is reduced and it occupy hence less space. 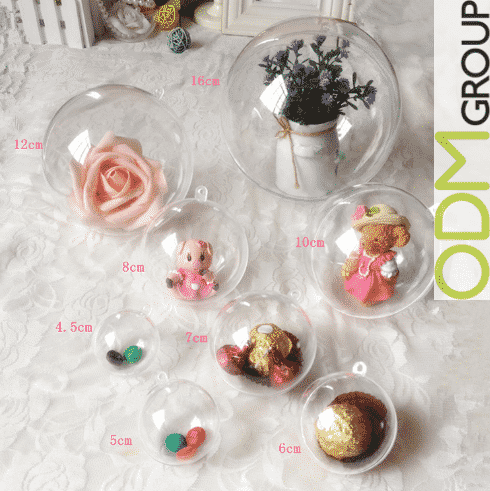 If you are interested in these promo Christmas baubles or liked our ideas for the winter festivity, please don’t hesitate to contact us. We will be glad to provide you with our quality sourcing, designing and manufacturing services necessary to help you in your next promotional campaign.